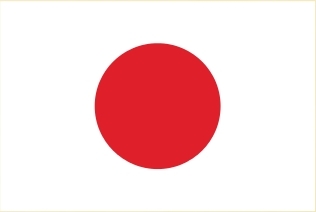 Japan, is an island nation in East Asia. Located in the Pacific Ocean, it lies to the east of the Sea of Japan, People's Republic of China, North Korea, South Korea and Russia, stretching from the Sea of Okhotsk in the north to the and Taiwan in the south. 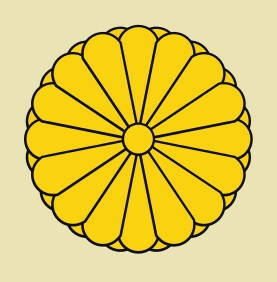 The characters which make up Japan's name mean "sun-origin", which is why Japan is sometimes identified as the "Land of the Rising Sun". 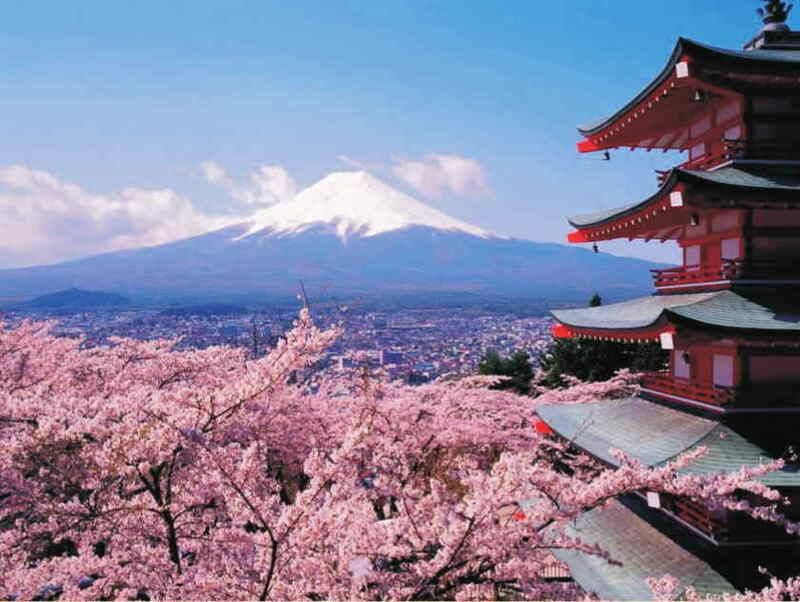 The climate of Japan is predominantly temperate, but varies greatly from north to south. Japan's geographical features divide it into six principal climatic zones. The main rainy season begins in early May in Okinawa, and the stationary rain front responsible for this gradually works its way north until it dissipates in northern Japan before reaching Hokkaidō in late July. In most of Honshū, the rainy season begins before the middle of June and lasts about six weeks. In late summer and early autumn, typhoons often bring heavy rain. 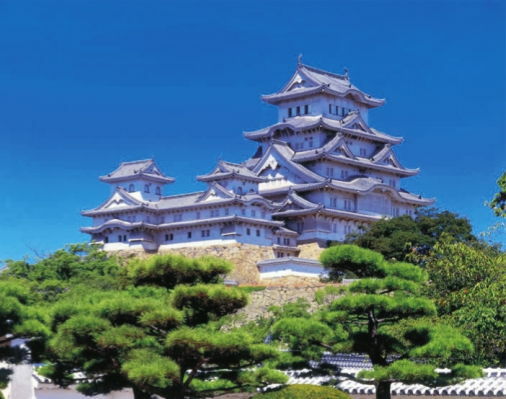 Japan is a country of over three thousand islands extending along the Pacific coast of Asia. The main islands, running from north to south, are Hokkaidō, Honshū (the main island), Shikoku and Kyūshū. The Ryukyu Islands, including Okinawa, are a chain of islands south of Kyushū. 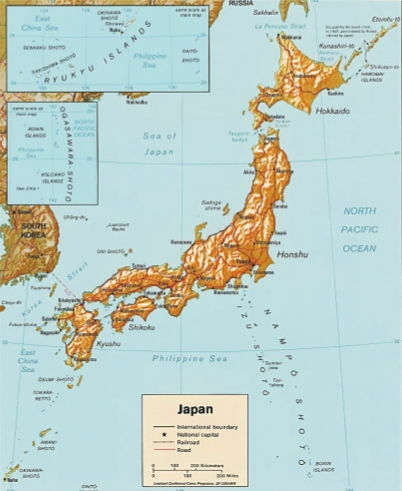 Together they are often known as the Japanese Archipelago. About 70% to 80% of the country is forested, mountainous, and unsuitable for agricultural, industrial, or residential use. This is because of the generally steep elevations, climate and risk of landslides caused by earthquakes, soft ground and heavy rain. This has resulted in an extremely high population density in the habitable zones that are mainly located in coastal areas. Japan is one of the most densely populated countries in the world. From the 1960s to the 1980s, overall real economic growth has been called a "Japanese miracle": Japan is the second largest economy in the world, after the United States, at around US$5 trillion in terms of nominal GDP and third after the United States and China in terms of purchasing power parity. Banking, insurance, real estate, retailing, transportation, telecommunications and construction are all major industries. Japan has a large industrial capacity and is home to some of the largest, leading and most technologically advanced producers of motor vehicles, electronic equipment, machine tools, steel and nonferrous metals, ships, , textiles and processed foods. The service sector accounts for three quarters of the gross domestic product. Majority of the Japanese are skilled in at one art, be it music, dancing, drama, or painting. These are both traditional and modern forms and each one has a large members of devoted followers. Ikebana or the art of arranging flowers, seeks to create a harmony of linear arrangement or structure, that includes not only the flowers but also the vase, stems, leaves and branches is based on there main lines that symbolize Heaven Earth and Human kind. Chan oyu or tea ceremony is culmination of a union of artistic creativity, sensivity to nature, religions thought, and social interaction. 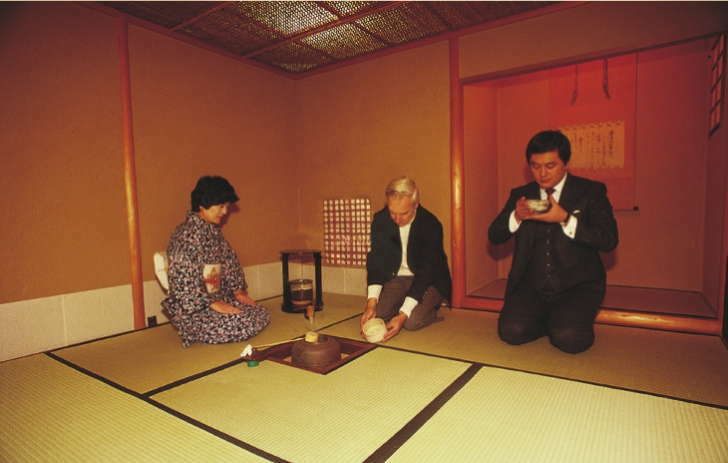 This very formal way of serving and drinking matcha, a powdered green tea, in slow and deliberate movements aims to set a mood o f c o m p l e t e spiritual calm and detachment from worldly concerns Traditionally during the 1500's warriors resting from battle would practice this ceremony. Origami a pastime that started in Japan, is the creative art of folding paper into different shapes. Dogs, birds, houses, ancient helmets, and just about anything can be made from single piece of paper. 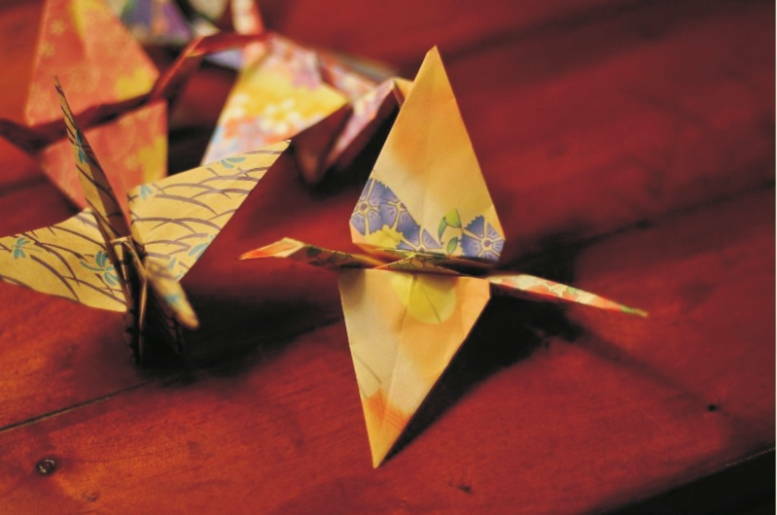 There is a tradition that when a person is sick, relative and friends often fold a thousand paper cranes as a prayer for the person's recovery or repose. Japanese culture has evolved greatly over the years, from the country's original Jōmon culture to its contemporary culture, which combines influences from Asia, Europe and North America. Traditional Japanese arts include (ikebana, origami, , dolls, lacquerware, pottery), performances (bunraku, dance, kabuki, noh, rakugo), traditions (games, tea ceremony, Budō, architecture, gardens, swords) and cuisine. The fusion of traditional woodblock printing and Western art led to the creation of manga, a typically Japanese comic book format that is now popular within and outside Japan. Manga- influenced animation for television and film is called anime. Japanese-made video game consoles have prospered since the 1980s. Japanese music is eclectic, having borrowed instruments, scales and styles from neighboring cultures. Many instruments, such as the koto, were introduced in the ninth and tenth centuries. The accompanied recitative of the Noh drama dates from the fourteenth century and the popular folk music, with the guitar-like shamisen, from the sixteenth. 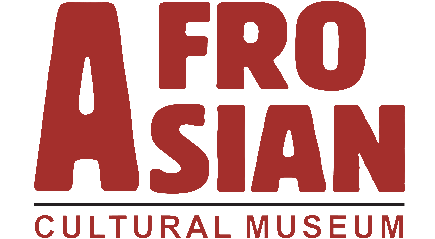 Western music, introduced in the late nineteenth century, now forms an integral part of the culture. Post-war Japan has been heavily influenced by American and European modern music, which has led to the evolution of popular band music called J-pop. Japan has a great many traditional crafts, ceramics, paper making, textiles, lacquer wave, ware wood carving metal work, weaving etc. 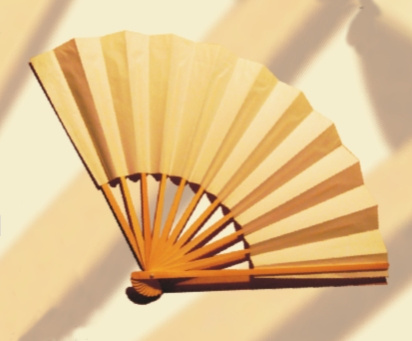 these craft products are the outgrowth of Japan's unique climate and culture. 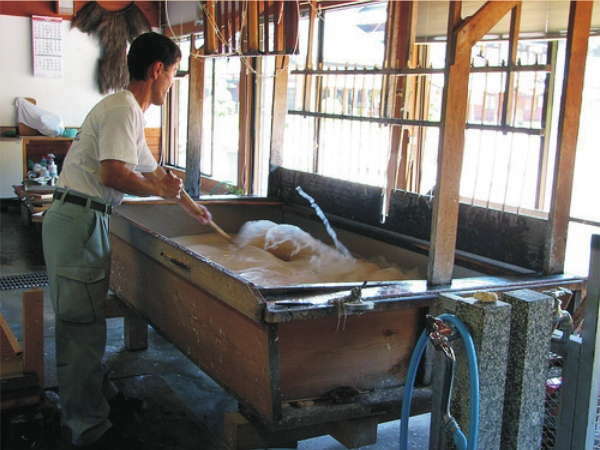 Washi – Japnese gave free expression to many uses of washi, a strong, attractive, handmade paper. Because of its unique properties, washi lends itself to many artistics and practical uses, lacquered paper mache toys and masks, sensu folding or uchiwa fans, are sama dolls, traditional kites, latters, cooking and even as shoji screens in traditional Japanese buildings Ikkanbari or lacquer ware is used to make a wide range of products from small household items like plates and baskets to furniture items such as chests of drawers. Traditional lacquer ware was often decorated with motifs of flowers and birds, dragons and phoenixes, figures in landscapes and pavilions. These motifs often done in gold leaf and mother of pearl were thought to bring good luck. Tojiki or ceramics in Japan has a long history and a rich variety from earth ware to most intricate glazed pottery. Traditional ceramics had patterns and glazing which are unique to Japanese pottery and which were passed down through ceramics artists. In modern times ceramics have become more of a studio art. 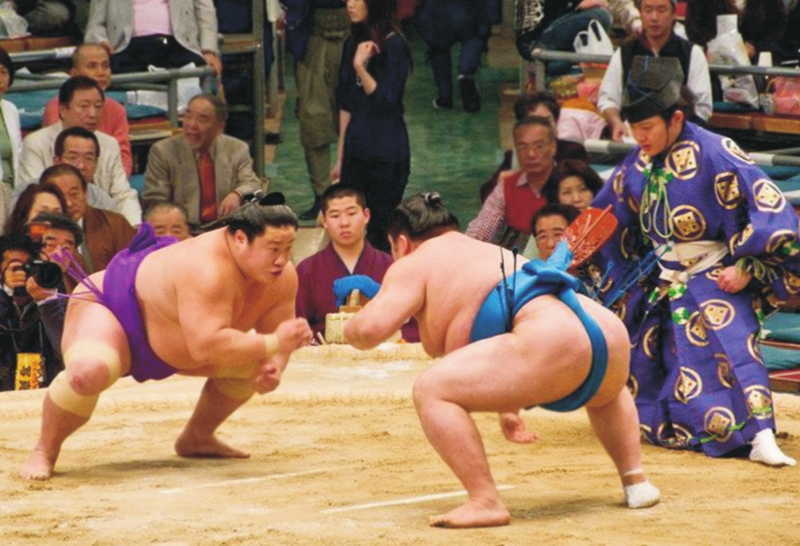 Among home grown sports, none represent Japan's nationalized feeling as much as sumo. A highly formalized but dramatic form of wrestling which originally was practiced during festivals and on holydays, at shinto shrines. A sumo match is won when one wrestler forces the other from the ring or to the ground sumo involves intricate rules and an entire vocabulary of holds thrusts and strategies. Performing arts theatre The history of performing arts in Japan is distinguished by the coalescence of dance, drama, music and lyrical narrative. The major genres of Japanese traditional theatre are bugaku classical court dance and music, still performed in some temples. Non and yogosi a stylized form of comic dance drama performed by masked male actors. Banraku a combination of puppetry and narrative chanting which can be emotionally intense. Kabuki actron packed theatre with elaborate costumes and sets, musicals – philharmonic orchestras and folk instrumental, and shingeki which literally means new theater. The Japanese are great sport lovers. 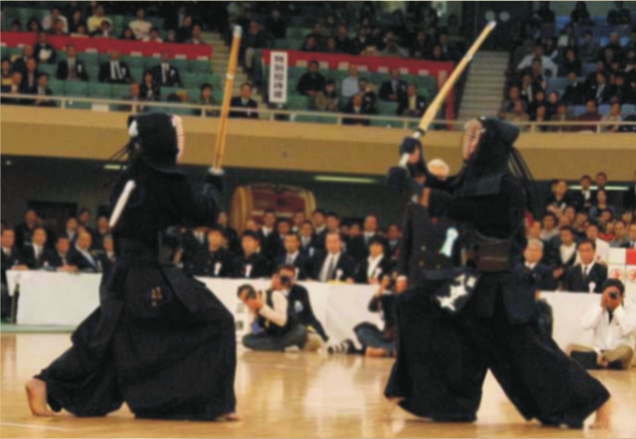 Western sports like soccer, baseball, skiing golf are patronized with the same fervour as traditional sports like kendo - fencing, Judo, Kyudo archery, Karate, Weaponless Combat, Sumo – Wrestling and Aikkido Sumo. Japan has a long tradition of holding festivals to invite and welcome the gods, to feast them and to commune with them. Many festivals feature colouful parades, decoration, folk music and dances. Japanese festivals, holidays and other ceremonial occasions fall into two main categories; matsuri festivals and nenchu gyoji annual events. Matsuri are essentially native Japanese festivals of shinto origin that are related to the cultivation of rice and the spiritual well – being of local communities. Nenchu gyoji is a larger category of annual and seasonal observanees, many of which are of Chinese or Buddhist origin. Some of the important festivals are Oshogats a – New year, Obon, Hinamatsuri - Doll festival for girls, tanabata – stas festival snow festival, shici – go –saw, Bon-dance festival. The language spoken in Japan is Japanese. Spoken Japanese, which dates from prehistoric times, is not particularly difficult, but written Japanese is extremely challenging. To write it, a combination of Chinese kanji characters and two unique Japanese phonetic scripts called hiragana and katakana are used. Most Japanese also use one or another systems of Romajis which are Japanese words represented in Roman alphabet. The notable feature of Japanese architecture is the co-existance of traditional styles handed down from generation to generation employing materials like wood, thatch and clay to modern structures using the most advanced engineering techniques and Materials. Traditional buildings are noted for their use of sliding shoji screens, tatami mats, wooden flooring, loug, low over hanging sloping roofs of till or thatch and light open structures of wood that are both conclusive to hot and humid Japanese climate as well as its proneneus to earthquakes. In constrast,the recent spectachs treud has been for ultra-high-rise and smart buildings that meet the demands of space and an Internationalized information intensive city. Clothing in Japan is broadly categorized as either wafuku Japanese style or yokufu western style Today almost everybody wears yokufu, from business suits to blue jeans. The kimono the traditional Japanese robe like garment is worn wrapped around the body and tied with a wide sash. Obi. Men also wear wide legged hakama trousers and a loose jacket or Laori over their kimono. Similar to the kimono is the yukata, a simple, light cotton robe worn at summer festivals are while relaxing. High wooden clogs, - geta or low sandals made of cotton or leather zori, with cotton socks tabi are worn when wearing a kimono. Today most Japanese wear their traditional kimono only on special occasions, such as festivals, coming of age ceremonies and weddings. Cuisines Japanese cuisine consists mainly of sea food, vegetables, noodles and rice with seasoning of soya sauce, Vinegar, sake, toasted seaweed, ginger. Fresh ingredients are very important in traditional Japanese cuisine. Tampura deep fried sea food and vegetables, sashoni thin strips of raw fish, and suchi slices of raw fish on small pastitions of vinegar flavored rice, are some popular Japanese dishes. While preparing a serving a Japanese meal, care is taken to harmonize colours and textures to achieve an aesthetic balance between food and receptacle, that pleases the eye and stimulates the appetite. Popular beverages include Ocha-grentean, Koohaq-beacktea, wines made from rice-cake and liquors made from malted rice and other grains like shochu or from fruits like plumbs. An international fare of curries, spaghetti, pasto, icecream and fast foods are gaining popularity in Japan today. Japanese traditional dance, which emerged in ancient times as an elementof religious ceremony, has developed over the centuries in close conjunction with various genres of vocal and theatrical art forms. Japanese dance has traditionally been divided into mai a restrained, ceremonial dance and 'Odon' characterized by a more earthy extraverted type of movement. In recent years Japanese choreographers have composed a numbers of adaptation of western works, combining techniques of Japanese classical dance with those of western dance, introducing a bolder more expansive king of movement. Japanese gardens possess a unique beauty derived from the combination and synthesis of various elements. There is a compositional beauty derived from a blending of natural paintings, sand water and rock. This is made unique by the natural beauty of Japan's landscape, seasonal changes and a symbolic beauty arising from the expression of shinto beliefs the Buddhist intellectual conventions.